Throughout the semester, one aspect of videogames has struck me the most and really distinguishes games from any other medium: the power it gives the audience. In other art forms like television, cinema, or painting, the audience never performs any action beyond observation, except for a certain kind of theater known as “interactive” or “immersive theatre.” It’s a type of theater that actually makes the audience participate actively in theatrical spaces. The most famous contemporary example of this theater is Sleep No More, a production of Macbeth by the UK’s Punchdrunk theater collective. This version of Shakespeare’s Scottish play takes place at New York City’s McKittrick Hotel, a six-story where audience members physically inhabit and interact with the same space the actors are in. Journalist Scott Brown writes of the audience’s involvement in Sleep No More, “Sleep allows its ‘guests’ great freedom. Presented with a bone-white Venetian beak mask (the kind favored by plague doctors in the Renaissance), you’re invited to gawk, shame-free, at whatever you see, to rifle through drawers, files, Rolodexes, and even coffins. You and your fellow voyeurs, enskulled in your morbid headgear, quickly become part of the creepy scenery. More to the point, you’re a ghost. (N.B. : This doesn’t exempt you from actor contact — in fact, you’re practically guaranteed to be interfered with at some point in the approximately three hours it takes to survey the space and absorb the long arc of the story.) Fending for yourself in the fictional “McKittrick Hotel” (a pointed Vertigo reference that dizzy or claustrophobic types should take to heart before booking), you’re given the run of six misty, intricately detailed floors, with more than 100 rooms” (Brown). These rooms include “‘situations’: a man who may or may not be Duncan, right king of Scotland, being murdered in a sheikh’s tent. A gelid blonde who may or may not be Mrs. Danvers from Hitchcock’s Rebecca — here in loyal service to Lady Macbeth — spooning milky poison down the gullet of a soused, super-pregnant woman who very well might be Lady Macduff” (Brown). Sleep No More builds a world that immerses people fully in an expansive place, where story unfolds through exploration. The audience is no longer assembled of passive spectators but active, investigative witnesses. This type of theater engages audience members to explore and connect with an old story through a completely new environment unlike any other medium, except for videogames. This immersive theater seems (to me) to be a kin to videogames, a medium that also allows for audience members to explore, play, and connect with an environment. That is, videogames could be a medium like immersive theater that engages and makes the audience active. I say this because in order for an audience member to become another actor, the audience member must have choice. In Sleep No More, the audience can choose to go whatever place they want, try to talk to whomever they want, and do whatever they want. Like the actors who are also making choices to play characters and do certain things on a “stage,” the audience unwittingly does the same thing and is forced to make purposeful choices on what to do and not to do. To relate this to Assassin’s Creed IV: Black Flag, interactive theater does not take place in it nor a lot of other videogames. The games inhibit player’s choices to conform to a linear track on which to progress. Black Flag is more like a movie than a play in a hotel. To be sure, the player does have freedom and can take action within the world. This is still a digital play space where players can fight anyone they want (except for citizens, which prompts a fail screen), can climb buildings (except for buildings that don’t have any obvious spots you can grab on to), and can spend digital money on whatever (no exceptions). Yet, the game does not offer a lot of freedom to the player, insisting on rigid paths and linear tasks to a linear storyline. After the opening scene of fighting pirate ships that all exploded, my character swam in the water and was essentially presented a path straight to a beach. However, I wanted to swim back to the ship’s wreckage and around the ocean because I could so why not? I swam to these places but nothing really happened until I got to the beach where I was “supposed” to be. So why does the game present options of swimming around pirate ships and climbing buildings but really only rewards players for swimming to the “right” spot where the cutscene kicks in or the “right” buildings that I somehow can climb versus all the other ones? I’m not saying that every choice should be rewarded, but if you have and market a game as being an expansive game world, shouldn’t this game world include more than one set of action for actors? Can’t we choose where we want to be in this world as players instead of being forced down one path of cutscene after cutscene? I might as well watch a movie, instead of being an offered an illusion of theatrical choice. Or I’ll go to a hotel where people are putting on Macbeth, where I can do more interesting fictional things. Anthropy, Anna. Rise of the Videogame Zinesters. Seven Stories, 2012. Brown, Scott. 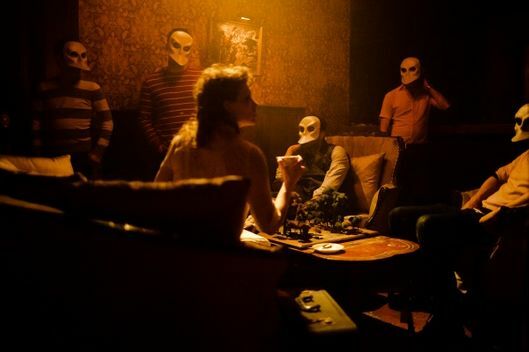 “Theater Review: The Freakily Immersive Experience of Sleep No More.” Vulture, 15 Apr. 2011, http://www.vulture.com/2011/04/theater_review_the_freakily_im.html. Accessed 23 Nov. 2016. Fletcher, Rosie and Hugh Armitage. 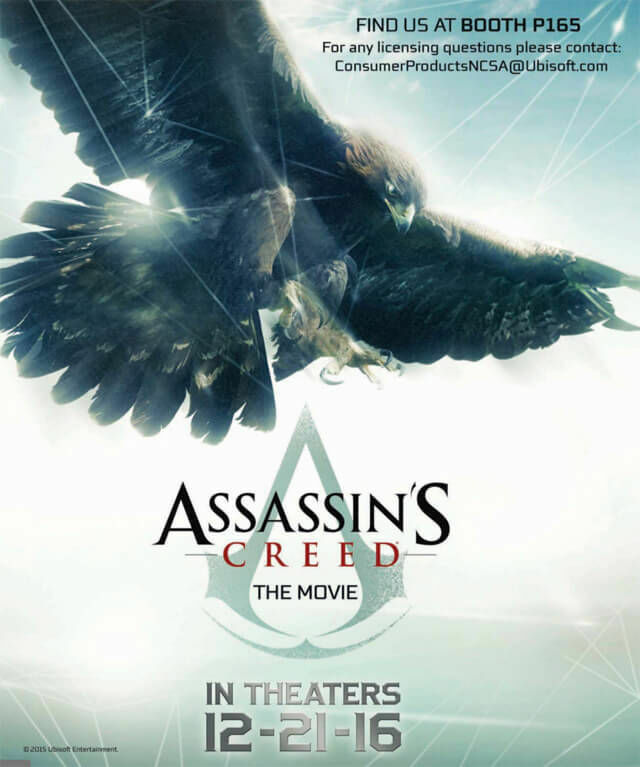 “Assassin’s Creed movie: Everything you need to know about Michael Fassbender and the cast, spoilers and release date.” Digital Spy, 27 Oct. 2016, http://www.digitalspy.com/movies/feature/a672940/assassins-creed-movie-everything-you-need-to-know-about-michael-fassbender-and-the-cast-spoilers-and-release-date/. Accessed 23 Nov. 2016.